Have you ever thought of having a little eye candy to your windows? If you have, then venetian blinds have got to be your first choice. Venetian blinds are much more than just decorative pieces of decor. It has a lot of other uses in addition to the beauty that it imparts to your room. You might be wondering, what these blinds are. Venetian blinds are actually slatted blinds, having a number of horizontal strips attached in rows. The slats are attached together with strips of cloth or cords. Venetian blinds are made of different materials. They can be made of plastics, metal, wood and even bamboo. The slats can be controlled in the way you want it to be. The slats are connected with strings such that they can be controlled to either pass the light through them or block the light. The working mechanism is very simple, they work on a universal pulley system and a pull raises the blinds removing them entirely from blocking the light. Great appearance – Nothing can beat the style and charm of venetian blinds. They are the ones that provide a great ambiance to your living room. 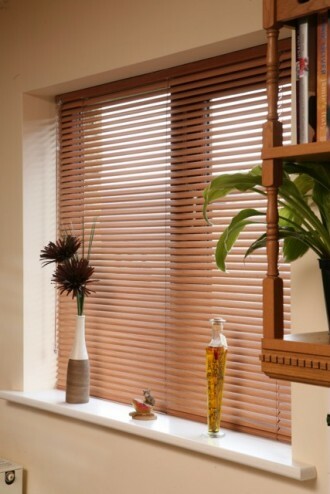 You can use traditional curtains but that is no match for the richness that venetian blinds provide. Light regulation – We all hate the sunlight shining on your face while sleeping on a nice Sunday morning. Glares can also be an issue while watching TV. That is where the need of venetian blind arises. If you have venetian blinds then you are the boss, you can control the amount of light you want in your room. If you want it to be bright, just open the blinds. Having your own privacy – It is always an issue, especially if you are living in an apartment or a populated residential area. Because the last thing you want is somebody to be gazing in your windows. More so if you are alone or have children. If you have light inside, people can easily see through your curtains. The only fix for this problem is to use a venetian blind. Increased savings – Afternoon sun during summer days can be really hot and if you use a blind, you can easily cut down the workload of your air-conditioners. Blinds are also amazingly efficient in keeping drafts out in the winter, thereby maintaining a warm temperature in your room. In addition to saving some money on utility bills, you are also contributing your bit to the nature by reducing your carbon footprint. Budget friendly – There are a variety of budget friendly blinds available in the market. You don’t have to worry about the cost, even if you are on a tight budget. You will never fall short of choices because of your budget. Venetian blinds are made of a variety of metals and are available in different colors. You can choose the one that suits the theme of your room. Venetian blinds can simply transform your ordinary looking living room into a sensational work of art.